Great Southern Mining (ASX:GSN) has identified a large copper-gold porphyry system at its Edinburgh Park project in Queensland. The discovery comes from a prospect at Edinburgh called Leichardt Creek, and follows recent geological mapping and sampling. According to the company, the system covers over 6 square kilometers. Rock chip samples brought back results of 0.56 percent copper, 0.12 grams per tonne (g/t) gold and 0.45 percent molybdenum. “This is the first time that a company has systematically explored the outcropping mineralization at Leichardt Creek. Whilst the prospect is still at an early stage of exploration, it has the hallmarks of a promising large-scale gold-copper-molybdenum-rich porphyry system,” Great Southern Executive Chairman John Terpu said in a statement. Great Southern has geophysical surveys planned for Q1 2019, and regional mapping and geochemical programs are currently ongoing. According to Terpu, the company’s goal over the year is to identify multiple targets through systematic exploration and targeted drilling. The company has a number of exploration assets under its belt, including two in Queensland and a third in Western Australia. Alongside Edinburgh Park in Queensland is the Johnnycake project, with Mount Lucky near Laverton in Western Australia. In the last year, Great Southern has also added the Mount Weld and Mon Ami projects to its lineup. Both assets are in Western Australia and are situated near Mount Lucky; exploration began at Mount Weld in November 2018, and the company released a maiden resource estimate for Mon Ami that same month. 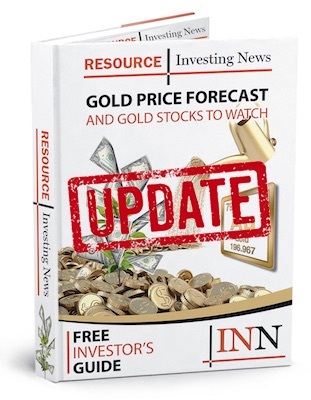 The gold project racked up a resource estimate of 1.1 million tonnes at 1.7 g/t gold for 59,000 ounces in the inferred category; the estimate was calculated with a 1 g/t gold cut off. Great Southern’s share price skyrocketed 16 percent on Wednesday (February 6) following the news, ending the day of trading on the ASX at AU$0.029.